Revise your HSC subject content with hundreds of questions and study for exams anytime, anywhere with HSC Apps. HSC Apps is built specially for NSW Higher School Certificate students giving you a high-quality study tool at your fingertips. With the convenience of HSC Apps, you can revise exam content on the go and test your knowledge as part of a broader study plan. So next time you’re on the bus, ordering a coffee or waiting for that friend who is always late, skip Facebook and use those two minutes to give yourself a head-start in your exams instead. HSC Apps comes in nine subjects, with 5000 questions across 33 topics. 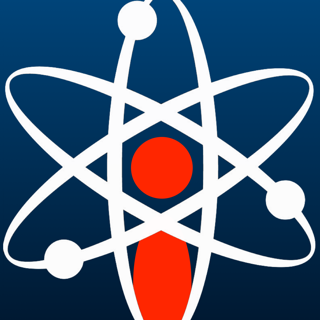 Your first Topic is free with the application, and more are available inside the app. Here is the complete Subject and Topic breakdown. 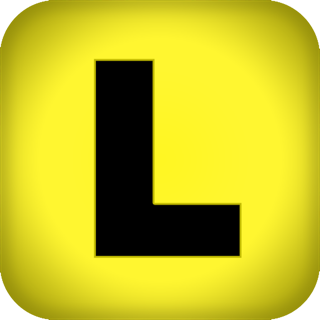 Each subject app has been created by a group of highly experienced teachers who are experts in their areas. Each of the creators is an experienced HSC marker and has an intimate knowledge of their subject area. Creators are fully up on the examination and syllabus requirements of the HSC. Several of the creators are textbook writers and study day presenters. Unlike some other study apps out there, which merely take flat textbook pages and put them on a screen, HSC Apps is designed purposely for the iPhone & iPad giving you a fully interactive study experience. And, because HSC Apps are created by teachers, for students, we know that not every school studies the same topics for each subject. Unlike some other study apps and study guides which only give you the ‘most popular’ topics (half of which you probably aren’t even doing) HSC Apps give you the flexibility to customise the questions in your app so you only pay for the topics you actually study. 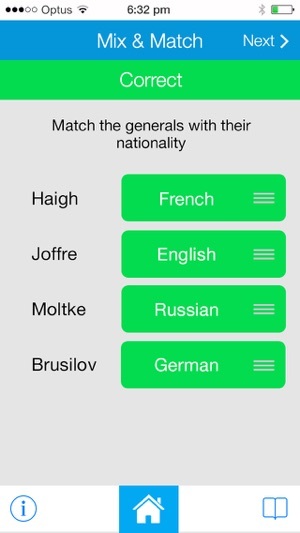 Designed as a quiz-style game, HSC Apps are fun way to revise subjects and test yourself. Save your scores to test yourself and track how you’re improving, and bookmark any questions you’re not sure about so you know what you need to study up on. 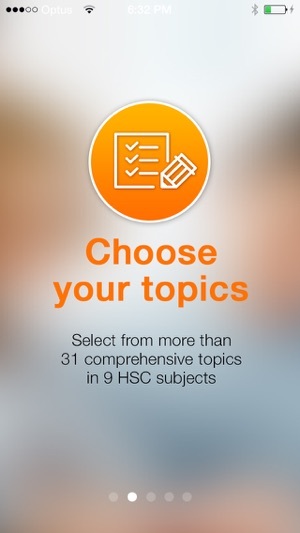 HSC Apps provide a separate ‘question pack’ for each topic you are studying within a subject. Each question pack contains approximately 150 individual questions on that topic. 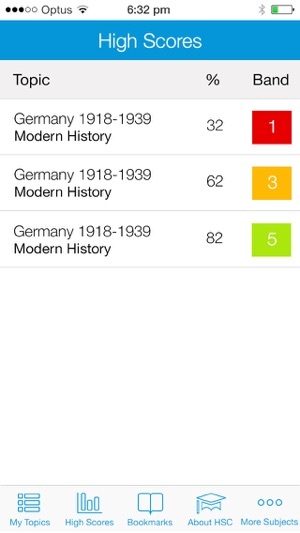 When you download the app, you choose your first topic from one of the 9 subjects we have available. You can then browse through the other topics available to download only the other question packs that you are studying. 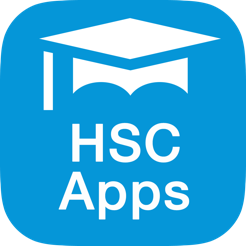 If you are parent and wish to get HSC Apps for your child, you can purchase the app yourself and send to your child to download onto their phone. 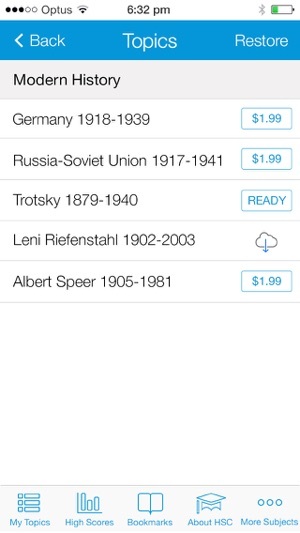 In iTunes, click the arrow next to the ‘Buy App’ button and select ‘Gift this App’ from the menu. Fill in the form, ensuring you use the email address of your child’s iTunes account, and they will receive an email allowing them to download the app onto their iPhone. We have had our programming gnomes update some code, for a better experience, and now we have cloud download working properly. Any topics you have downloaded / purchased, please go to the More Subjects item on the toolbar, then hit the cloud download icon on the topics you have purchased to refresh your questions!